February is just around the corner, and if you live in the Northern Hemisphere you are facing the coldest month of the year, just at the time when you probably start thinking about Spring. 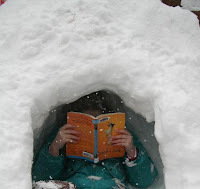 If you are feeling a bit glum about it I suggest you take the opportunity to curl a with a really good book, and so I have selected three great February novels that I personally recommend and hopefully will make this month memorable. 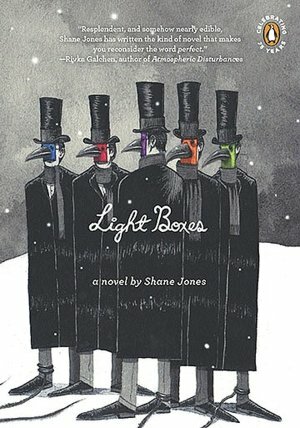 Light Boxes, a novel by Shane Jones, is a really quirky, fairy tale-like story about one little town which is experiencing perpetual February. February turns out to be a strange spirit-like figure who is punishing the town for flying of any kind, including everything from balloons to birds and planes. It all went wrong, but he, that is February, did start with good intentions: “I wanted to write you a story about magic. I wanted rabbits appearing from hats. I wanted balloons lifting you into the sky. It turned out to be nothing but sadness, war, heartbreak. You never saw it, but there is a garden inside me.” This is a lovely, tiny, magical read, which will warm up your heart on a cold February evening. 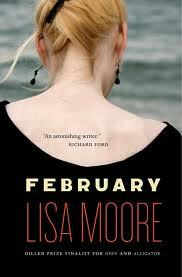 If you are not too bothered by the bleakness of the weather, but cherish it as a good time to snuggle in bed with a great book, I also recommend February by a Canadian literary star Lisa Moore. This fantastic novel, which was longlisted for the Man Booker Prize in 2010, and is a finalist for Canada Reads 2013, is a fictional story about aNewfoundland family who deal with the loss of husband and father. It is based on the real-life tragic sinking of the offshore rig the OCEAN RANGER on Valentine’s Day 1982. I read this book a few years ago, but I still remember the powerful descriptions of the winter scenes, juxtaposed with the feelings of enormous personal loss. Lisa also has an amazing writing style, each sentence just the way it should be – like a beautiful piece of music. It is a novel about love and grief and all that falls in between. Not exactly heart-warming but unforgettable. There is one more novel with a February setting that I heartily recommend, although I imagine many of you would be quite familiar with it. 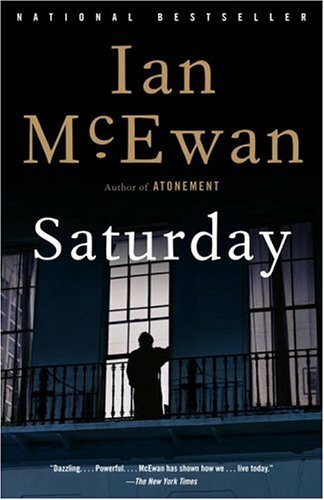 Saturday by Ian McEwan is set on February 15, 2003. Observing family and contemporary society, this page-turning novel is set on one day, which although it starts quite innocently, turns into a violent nightmare. The story, with its glimpses of the darker side of McEwan’s writing that characterized his early books, is in my opinion one of his better ones. It really captures the time, place and anxious state of post September 11society. It is another great read for a dark, cold February evening. Do you have any favorite books set in February or about February that you would like to share with us? Or maybe you would like to tell us about books you like reading in February.